Please complete this form and one of our agents will reply to you by email as soon as possible. For alternative ways to contact us, please see this page. Please select the primary country in which you work or reside. Installation log file (the location of this log file may be indicated in the error your received). Screenshots or other files to illustrate the error. Please enter the probemix code(s), version(s) and lot(s) that your question applies to (e.g. P002-D1-0515). Please select the capillary electrophoresis (CE) device used. Please enter the size marker and the fluorescent label used if applicable (e.g. GS500-LIZ). 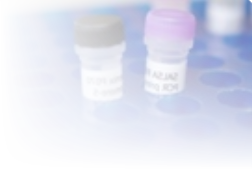 Please include an overview of which samples represent reference samples, patient samples, positive controls or no-DNA controls in your message. Please include a reference to the knowledgebase article that your feedback refers to in your message (e.g. the title, link or subject). Select the workshop you are interested in. If you are interested in more than one workshop, please specify this in the message. If available, please enter the complete billing address, the email address to which the invoice should be sent, and your VAT number (EU only). Please ask your finance department if a purchase order number/order reference is required on the invoice. You can leave this field empty if you do not (yet) know these details. Please note that your registration is not complete until you receive a confirmation from us. Please don't make any arrangements (such as booking a flight or hotel) until you have received this confirmation. If you have any general questions prior to registration you can use this form. Your 7-digit customer number (existing customers only). A unique order reference is required for tracking purposes. Enter the full address, including country. Required when you order one or more reagent kits. Add a message below if you require more than one label. List the items and quantities that you want to order. Please use product codes (e.g. P002-100R, EK1-FAM) together with the product names (e.g. BRCA1) as much as possible to minimize the chance of confusion. Enter any comments, exceptions and special circumstances below. You can optionally specify one or more email addresses in the CC field that will receive a copy of this order form.